MINNEAPOLIS (AP) A downtown corridor in Minneapolis has reopened after more than two years of construction that cost $50 million. 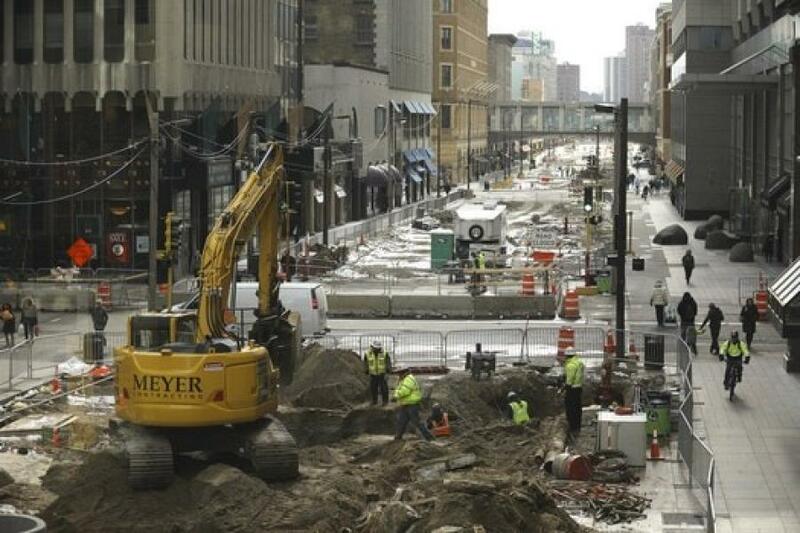 Nicollet Mall reopened Nov. 16, the Star Tribune reported. The area had been closed to vehicles since July 15. Construction added nearly 250 trees, new LED lighting and a large public art display. The mall was designed to bring “simplicity, clarity, light and space” to the area, said landscape architect James Corner. “Even though it looks relatively simple, it's an enormously complicated set of issues to coordinate and design and construct,” Corner said. Business owners along Nicollet said they struggled during the project's construction but hope the reopening will spur business. Patrick McCutchan said his family has been operating a hot dog cart on Nicollet since the 1980s. With the mall's reopening, McCutchan was able to station himself near his old spot. The changes have already attracted millions of dollars in investment to downtown, city officials said. Plans for the reconstruction began under former Mayor R.T. Rybak and continued under Mayor Betsy Hodges. The mall first opened to the public 50 years ago. “Things have changed. Times have changed. Shopping habits have changed,' said City Council President Barb Johnson. “But our mall has adapted."